During the wet seasons torrential rain can cause flooding and without proper gutter installations your home could be facing extreme issues with water damage. Gutters that are not installed correctly will cause erosion to the foundation of your home as well as mold development from moisture. Gutters installed the right way from All Storm Solutions will create efficient water flow from your roof to your draining system. 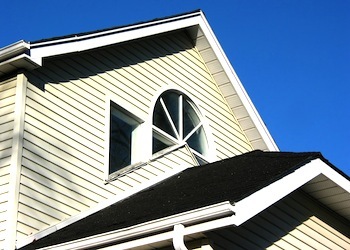 All Storm Solutions provides professional gutter installations for your home or property that provide a very valuable role in the protection of your home from severe weather. The gutter installations we provide are built to last and we guarantee your home will be ready to take on the next Winter season. All Storm Solutions is partnered with leading brands in the industry to bring you as many gutter options as possible. From aluminum, plastic, seamless, stainless steel or copper, our gutter selection is the best around and we promise you will find one that is perfect for long lasting protection that is also right for your budget. Our expert gutter installers provide top quality work in a timely matter to bring you the protection you need as quickly as possible. Chicago storms can develop extremely fast, so it is essential that your home is prepared to take on all the harsh outdoor elements that our home faces during the seasons. Don’t waste any time when you need gutter installations, we are the best around and will bring you comfort knowing you are in great hands! Call for more information on our gutter installation services.